Insight Stories: I experienced KAUL - A Calling. Did you? 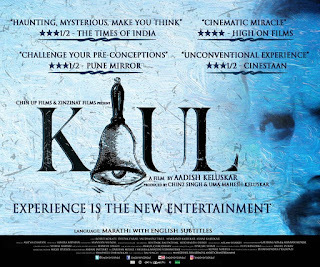 Understanding any movie will seem to be the easiest thing... only until you watch Kaul - A Calling. Maybe you'll feel like quitting it halfway, but hang on till the end to have the complete experience. This is neither a praise post neither a review; I can't rate this experience. Maybe I can go on talking about unconventional cinematography, sound design and so on. But it won't do you any good. Kudos to team Kaul, especially writer and director, Aadish Keluskar, for attempting such a film. Watch it, at least once, but only if you can dare to be left hollow in the end. Not all things experienced can be understood, not all things understood can be expressed. Welcome to KAUL - A Calling!